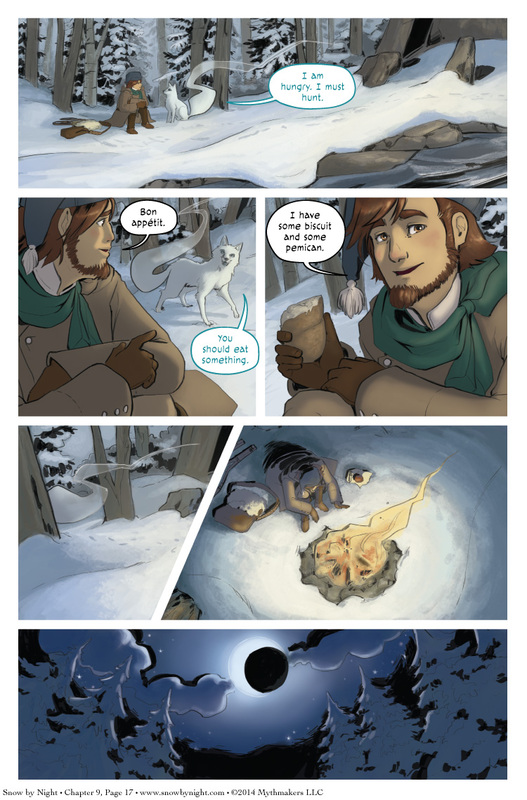 Night falls on Blaise in the forest on Chapter 9 Page 17. The forested wilderness of Everique is a dark and dangerous place, and Blaise is far from the lights of civilization. To see a hint of what happens to Blaise that night, please vote for Snow by Night on Top Web Comics.